Many people wrongly assume that Jesus came to persuade us to be more religious. Nothing could be further from the truth. 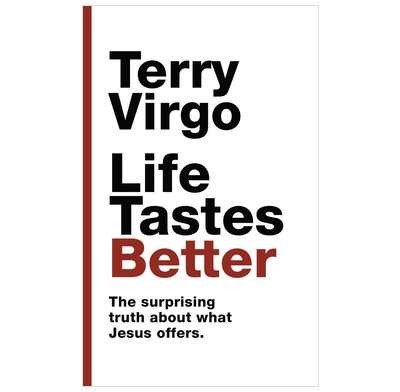 In this short and engaging book, Terry Virgo draws on his own personal experience, and explains from John’s gospel that Jesus came so that we can enjoy the gift of abundant life. He shows how Jesus is able to meet all our needs, especially our urgent need to get right with God for eternity. This is an ideal resource for people who are investigating the Christian faith. It will introduce them to Jesus and encourage them to take up his offer of the best possible life. A charming, short and very readable introduction to Christianity, through the lens of a very surprising story. Bright, clear and illuminating. I really love this book and I’m delighted to commend it. Written for the person who is fine on the surface, but underneath there is a crisis - which is most of us! But as you'll see, you have to trust Jesus to take over. So do you think you can trust Him?